The Voice Behind DEAF Inc. 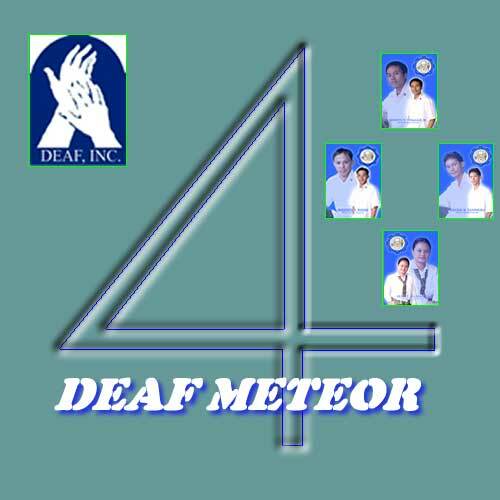 Deaf Evangelistic Alliance Foundation, Inc. ( DEAF, INC.) is a non-profit organization that focuses on the education of hearing-impaired Filipinos, DEAF, INC. aims to help spread the goodness of Jesus Christ to the hearing-impaired communities of the Philippines and Asia. DEAF, Inc. was born from the call of mother Rev. Ada Mable Coryell and daughter Rev. Aimee Ada Coryell, mission workers. 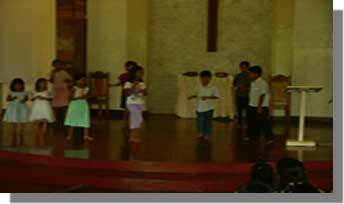 Arriving from Japan in 1961, where they established hearing-impaired churches around the country, they immediately was the potential of the Filipino hearing-impaired. 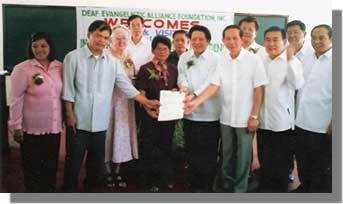 However at the time there was only one school for the deaf in the Philippines. 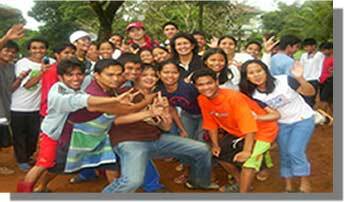 By 1969, with the inception of structured classes, DEAF Inc. was recognized as a duly registered non-profit organization. 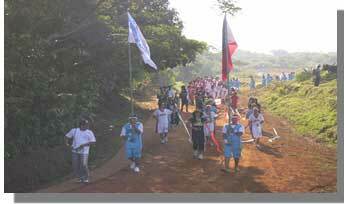 The DEAF Inc. school 7.5km up from the nearest barangay of Cavinti, Laguna is home to 200 students and staff at any given time. The school provides free education in all levels of learning, including an accredited Bachelor's Degree in Elementary Education. 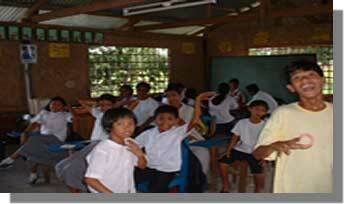 DEAF Inc. also has a school in Aborlan, Palawan that provides free educattion to primary and secondary students. To bridge interaction of the hearing and the hearing-impaired, training is given to families, friends, community churches, schools and community leaders. Individuals with close contact to the hearing-impaired are taught basic sign language and other tools of communication. The hearing-impaired individuals are taught basic life skills to cope with the demands of their communities. Copyright@ 2006 Deaf Evangelistic Alliance Foundation, Inc.